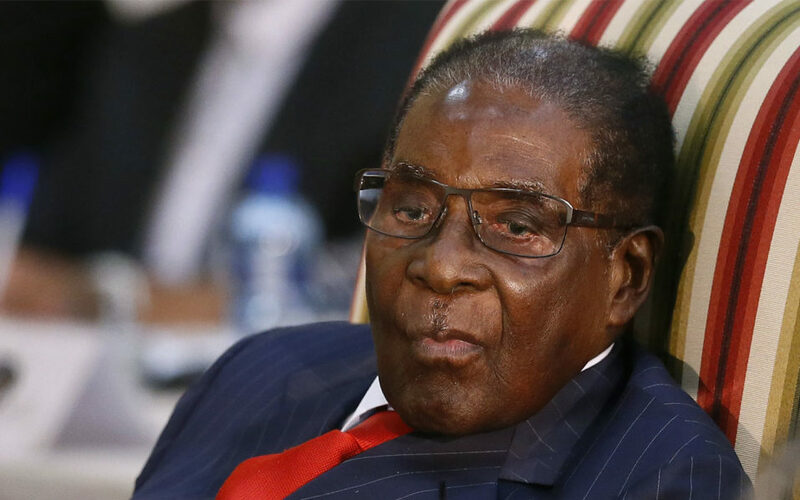 An aide to former Zimbabwean president Robert Mugabe has revealed how generals warned him to step aside as protests against him grew, or face being “lynched” like Libya’s Moamer Kadhafi. Massive street protests against 93-year-old Mugabe erupted after the military briefly took power in November following the veteran leader’s sacking of then-vice president, Emmerson Mnangagwa. Mugabe subsequently resigned after apparently striking a deal with the army and supporters of Mnangagwa who then succeeded Mugabe. “The commanders sent us with a very chilling message, they said ‘please go and get the president to appreciate the gravity of the situation out there’,” Mugabe’s former spokesman, George Charamba, told the Daily News Sunday paper. “There was the possibility of a Libyan scenario where the president would have been dragged out of the Blue roof and lynched,” he added, referring to Mugabe’s private residence in Harare. Kadhafi was overthrown in 2011 after a violent popular uprising and slaughtered by a mob after he was found hiding in a drainage pipe. Charamba, who now serves as Mnangagwa’s official spokesman, revealed that Mugabe desperately tried to reappoint his former deputy at the height of massive street protests against him. Charamba was heavily involved in the negotiations that eventually led to Mugabe stepping aside. In his interview about the upheaval that shook the country at the end of last year, Charamba also described how Zimbabwean border guards attempted to shoot Mnangagwa as he sought to flee, fearing for his life. “Mnangagwa recounted a scuffle at the Mozambican border where officials attempted to shoot him, but were disarmed by one of his twin sons,” the paper reported. Mnangagwa has previously said that he feared an attempt would be made on his life after his personal protection officers were withdrawn following his sacking. He subsequently made it to an airstrip where an acquaintance sent a private plane which carried him to South Africa from where he negotiated with Mugabe. By the end of the crisis, even former first lady Grace Mugabe, whose ambition to succeed her husband was widely credited as a catalyst for the army’s intervention, wanted Mugabe to go. “Even the first lady was behind Mugabe’s decision to resign,” said Charamba.